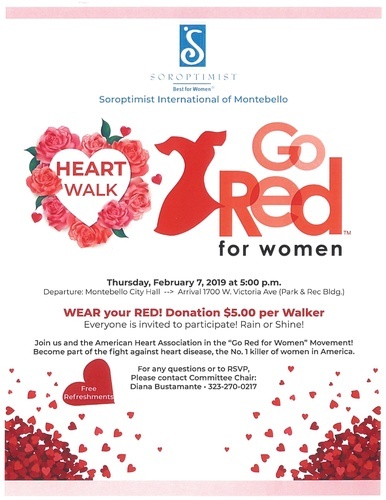 Join Soroptimist International of Montebello and the American Heart Association in the "Go Red for Women" Movement! Become part of the fight against heart disease, the No. 1 killer of women in America by participating in a Heart Walk open to everyone. Wear your Red! Free refreshments will be provided.